#27. 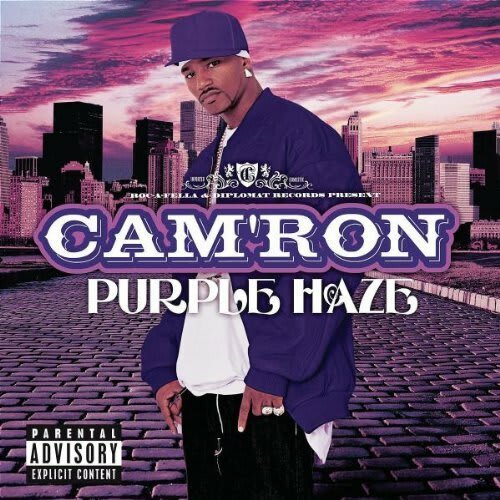 Cam'ron "Leave Me Alone Pt. 2"
Yet another Killa classic off Purple Haze—and it's a far cry from Michael Jackson's single of the same name. If you ever find yourself in a nerdy rap argument about Cam'ron's lyrical merit, "Leave Me Alone Pt. 2" might be your best bet for swaying nonbelievers. First, there's the effortlessly multisyllabic rhyme schemes. Then there's the fact that Cam vows to splurge on electric chairs and play golf in the Gulf of New Mexico (a body of water that doesn't exist), references Joanie Loves Chachi, and likens himself to "the plant in Little Shop of Horrors," all in the same song. Who knew he'd prosper?